The Carachillo Black S.T. 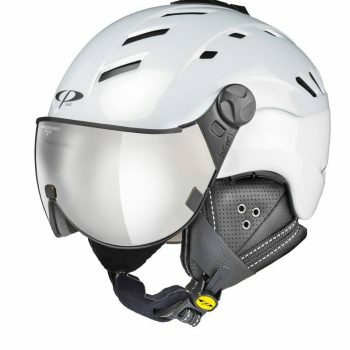 is the latest visor ski helmet from CP the leader in all in one visor helmets based in Zurich Switzerland. The Carachillo Black S.T., S.T. 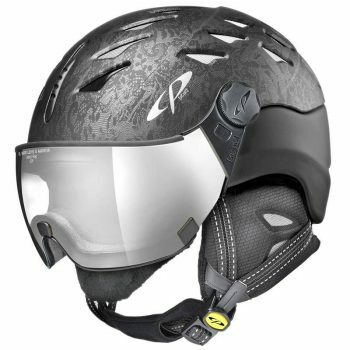 stands for soft touch finish of the helmet, it has a fresh, cool design with a minimalist application that distinguishes the it from the other visor ski helmets from CP and is appealing to younger skiers and snowboarders. This helmet is loaded with 6 air vents, the easy to use SIZE ADAPTING SYSTEM that lets you control the fit while wearing the helmet. This new visor helmet does not only have a new design but a new visor that has been specially developed for this model as the evolution of CP. This new helmet visor has further improved both the field of vision and protection to the face, the important things a visor should do. Already the visor ski helmet has offered a wider field of vision over traditional goggles, now with the new Carachillo visor you have the pinnacle in face protection from the elements along with the best visibility available. With the Charachillo Black S.T. visor helmet you can choose from the Flash Gold Mirror Visor, or the DL Vario Double Lens Polarized Ice Mirror Visor or DL vario multicolor visor. 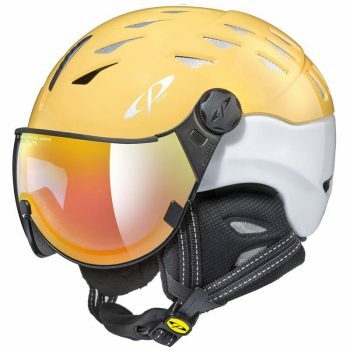 At StefanKaelin.com we import the finest ski helmets with visors made, from Stefan’s home country of Switzerland. Stefan was a Olympic and World Cup skier who has kept his love for skiing alive by operating a ski shop in Aspen, Colorado and importing the finest ski goods made. That was he is now semi retired and is operating his website. TO ORDER PLEASE SELECT A VISOR AND A SIZE.